Have you been to any of 104.7 Birmingham’s WZZK‘s Downtown After Sundown concerts this year? These FREE concerts are so much fun, but they also play a BIG role in supporting Ronald McDonald House Charities of Alabama. The first three concerts raised over $1,000 alone. At each of these concerts, donations are taken at the door and 100% of those donations come to support the families who need our services. 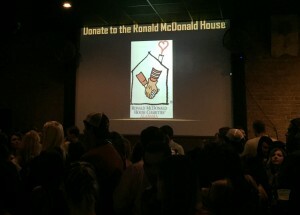 Make sure to keep an eye out because there is going to be a concert a month for the entire year and it is an easy way to support RMHCA families. We cannot thank all of the musicians, WZZK and their sponsors enough for their continued support. This is a huge commitment on their part and it is making a real difference in our community. Save the date for April 13th as Cam will be making her second Downtown After Sundown appearance and we know from last year, she puts on an amazing show! !